Fruit smoothies are not only a healthy option for you, but they are also really good. Finding the right combination of fruit is the key. Pretty much just choose ones you like. For the smoothie I made, I did one of my favorite combinations: Strawberries, Mangos, Pineapples, and Blueberries. 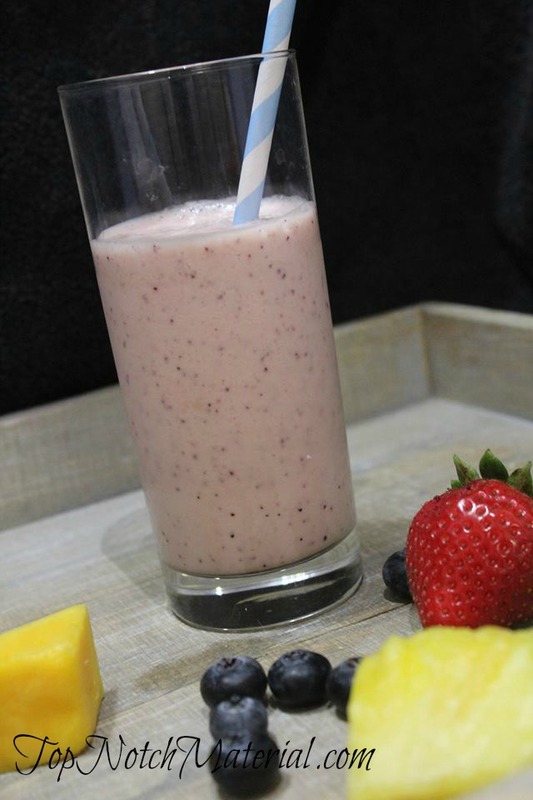 Combine all ingredients into the blender for about 30 seconds or until all blended together. Pour into a glass and enjoy. This sounds so tasty and refreshing. I love trying different fruit smoothies. Can't wait to try this combo out! It's definitely healthy. This smoothie sounds delicious! I wish I had something to make these smoothies in,I usually go to the store to grab one. We love to make smoothies and use my Ninja. I make them with fresh or frozen berries in season. This recipe looks so yummy and will definitely make this. I love strawberries and blueberries but have not tried mixing the two with mangoes or pineapple. Sounds interestingly good. have been wanting to get a blender and try some smoothies they all look so good. I have never made my own smoothie before but this one I might have to try. So many fresh ingredients it has to be good. Awesome looking drink that I will enjoy trying out. 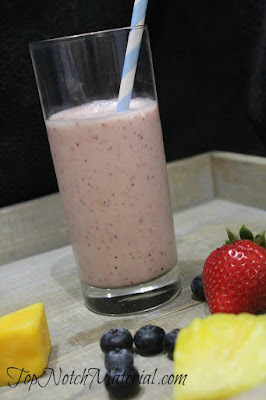 This smoothie has everything in it that I love! I love smoothies, will definitely have to try this one. Thank you for sharing. Love this fruit combo! I always forget to add mango to my smoothies-thanks for the recipe! Now this is an antioxidant packed smoothie! We use combinations of all these fruits in our smoothies, often adding flaxseed, kale or ginger. 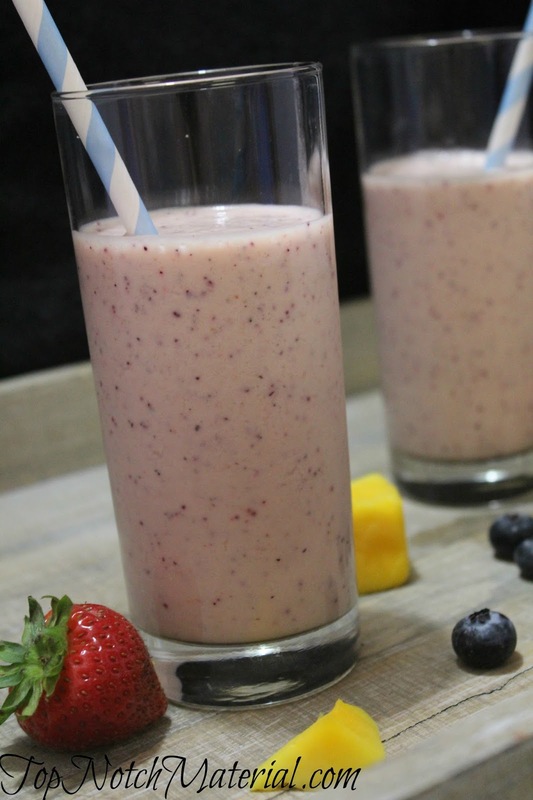 Finally, a smoothie without bananas. I hate bananas! This sounds amazing! I always get all my veggies in, but I have a harder time with fruit. This would be a perfect way to get several at once.